This entry was posted on Friday, February 10th, 2017 at 8:54 pm. I love a good coffee table book – who doesn’t? And I especially love ones about horses, home décor and design, and my beloved Kentucky. That makes Pieter Estersohn’s, Kentucky: Historic Houses and Horse Farms of Bluegrass Country, an instant hit. I received this book as a Christmas gift and didn’t hesitate to plunge right in. While not all the homes featured were horse farms or had an equestrian style, each was uniquely Kentucky. I know what you’re thinking – but you’re Maryland Equestrian – and you’re right. I adore Maryland, but Kentucky will always have a permanent piece of my heart. Unlike others, this book is more photo-heavy with only a page or two of text per feature. It was just the right amount though as I learned the history, improvements, etc. of each, so I wasn’t left with any unanswered questions. Two of my favorites were Pleasant Hill, the largest restored Shaker community in the country, and Gainesway Farm, a stud farm that is currently home to the legendary Tapit! This book is around $30 on Amazon, new or used, and it’s money well-spent! 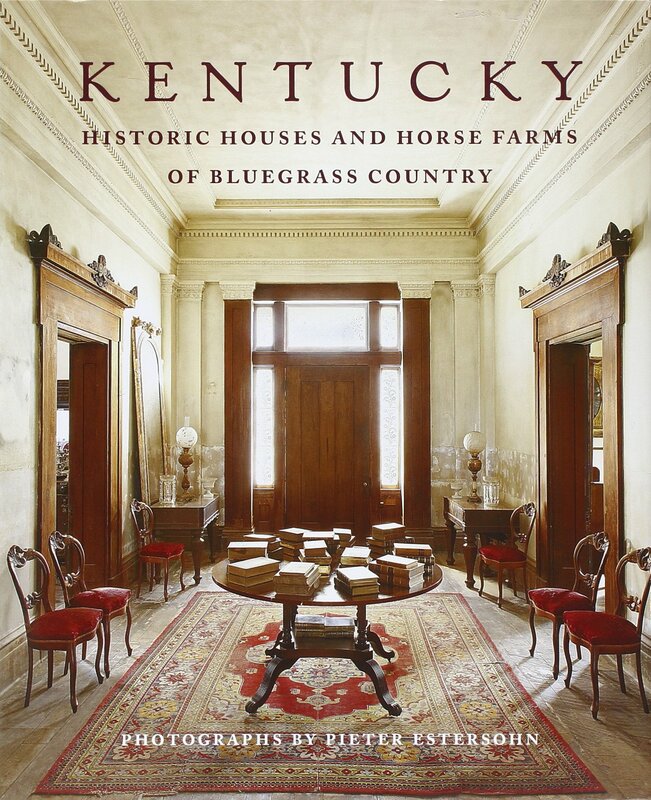 If you’re Kentucky or home design-obsessed, add this one to your personal library!